Hi friends. We hope you are doing fine. Yes we know that you are waiting for the next strategy. And apologies for posting in so late. But while we were away, we made sure we work on other topics which will benefit you. So while we were away we developed few tutorial videos which explain how to install and operate Moneypalm’s Trading Terminals and Back-office software. This is an extremely bullish strategy where we expect the price of the stock to shoot up. In this we Buy Out of the Money Call (Higher Strike Price than CMP) and Sell Out of the Money Put (Lower Strike Price than CMP) together. When can we use this strategy? Unlimited reward as we have bought the call. When do we achieve the breakeven? Let’s say ABC stock is currently trading at Rs. 250 per equity share. You are bullish on the stock but do not want to spend Rs. 250 on buying it. 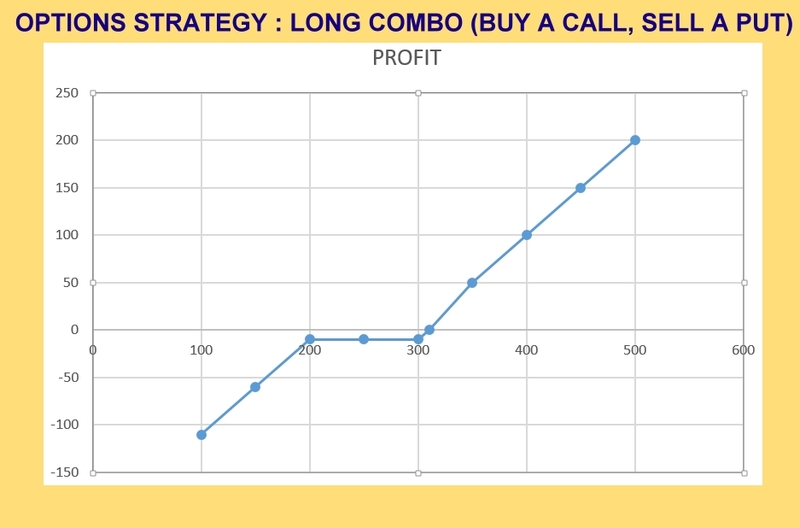 So you choose to apply the Long Combo Strategy where you sell a Put with strike price of Rs. 200 with a premium of 10 and buy a Call with a strike price of Rs. 300 and a premium of Rs. 20 . 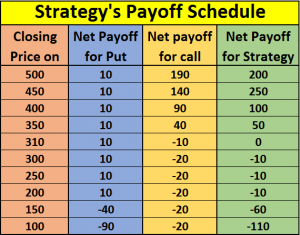 But here is a word of caution – This strategy is profitable only if the stock moves up. Otherwise the potential losses can also be high.